Food fair at New Bazaar is an event that you shouldn’t miss on Saturday, 13 October. The restaurants at New Bazaar area will present their cuisine for all visitors from 11:00 to 18:00 o’clock. The entrance is free so take your family and friends for an amazing Saturday. 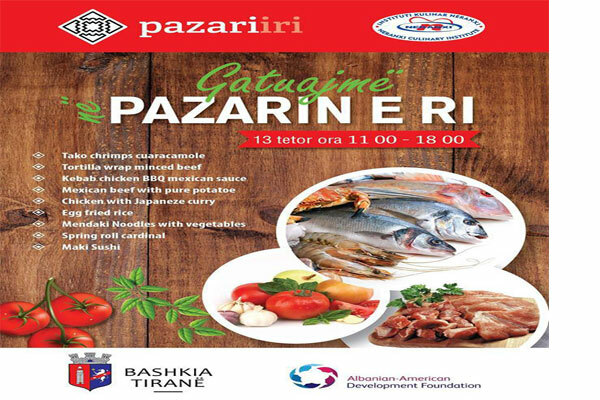 The event is organized by Municipality in collaboration with AADF (Albanian American Development Foundation).